Inside: It’s yet another snow day, and you have no ideas what to do with your kids because cabin fever is real? 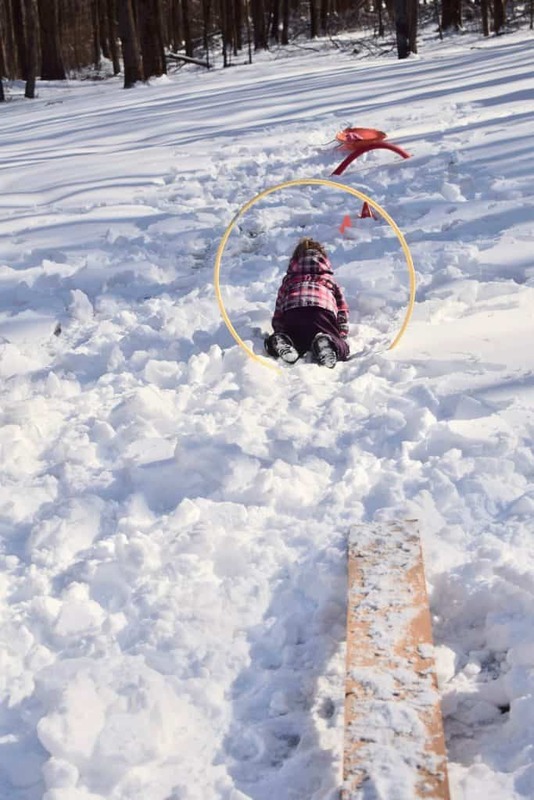 How does a snow obstacle course for kids sound? 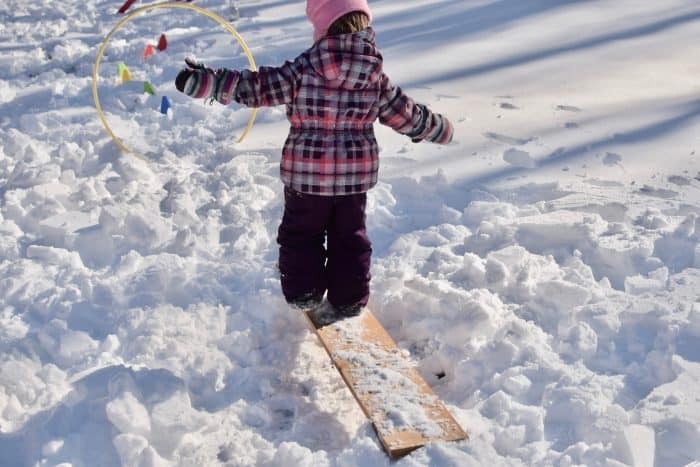 This is winter fun at its best because its quick to set up, fun for the whole family and it will tire your kids out fast. 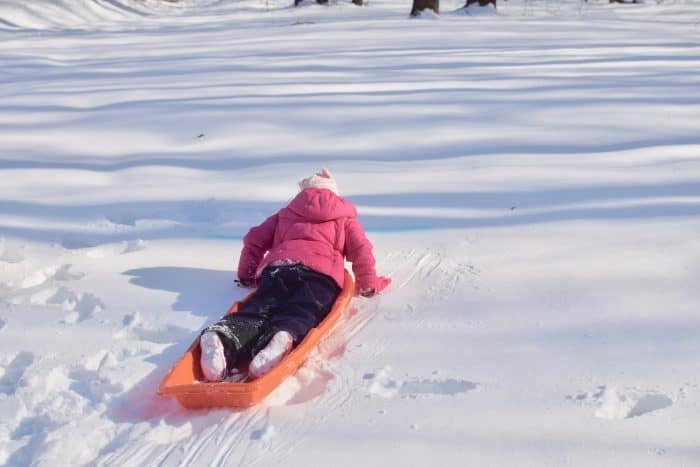 Check out these awesome snow day activities! As I type this, it is the beginning of March. I debated even posting this snow obstacle course idea. I thought maybe I would save it for next year. But then I realized. I was just perusing Pinterest this morning because cabin fever is REAL. And we just had snow day number ELEVEN. With more potential snow on the way this week. I thought maybe you, mama who loves her kids but just wants them to calm the heck down, might need some fresh snow day activity ideas. My kids loved it, and I hope yours will too. My 2 year old went through the course and promptly exclaimed “Me do it again!”. Hop off of the sled, drop down and make a snow angel. Make sure you have a few snowballs ready to go! Or jump over them (or walk next to them like my two year old did). I used a simple square Tupperware container. You can create a finish line for the crawling portion using your colored water bottle. Or two or three. Remember I told you this would tire your kids out. Or again, your kids could be like my 2 year old who did a belly flop over it. Pre-roll a snowball and then have your child continue to roll it. Just think of how tired your kids will be later. Literally have your kids slide on their bellies over the snowball. Have your kids lie on their belly, and drag themselves over the finish line using their arms. Push them along if they’re too tired out by this point. It’s too easy to just hunker in and not enjoy the outdoors, but don’t do it! 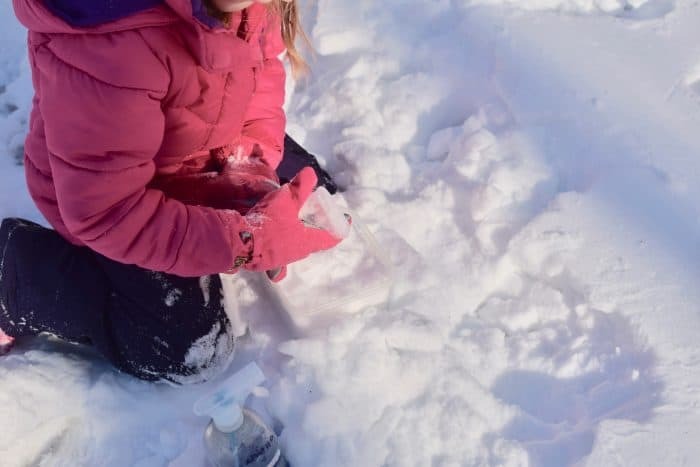 Get outside and make some winter family memories with more winter family activities. PS- Get into the fun with your kids, mama! This is an awesome idea!! I can’t wait to try this on our next snow day! I’m so glad you liked it and I hope you and your kid’s have some fun in the snow!